Imperial Oil and BP have delayed a proposed plan for exploratory drilling in the Beaufort Sea, the companies announced in a June 26 letter. In a letter sent to the Inuvialuit Settlement Region's Environmental Impact Review Board on Friday morning, Lee Willis, Imperial Oil's exploration operations manager, says the companies have suspended all regulatory work for the project. "However, under the current licence term, there is insufficient time to conduct the necessary technical work and complete the regulatory process," Willis wrote. "Production from the Beaufort, if and when it happens, is so far in the future, even on their current timeline, that today's price of oil is not really relevant," said Matthews. "They're obviously thinking much further down the road." Rolheiser said the companies simply need more time to plan their ambitious program. "In a nutshell, this is all about allowing the joint venture partners the time that we believe is necessary to deliver the most technically sound and environmentally responsible exploration program that is possible," he said. "And we believe that's what the people of the Inuvialuit Settlement Region expect of us." Imperial Oil and BP are in early discussions with Aboriginal Affairs and Northern Development Canada — which sold the exploration rights to the companies for a combined $1.8 billion — about extending the terms of their licences by several years to 2028. "From the outset there was a recognition that, even with 2020 as the lease expiry date, it was a very challenging schedule," said Rolheiser. Before Friday's announcement, Imperial Oil had been expected to share its plan for how it would respond to an oil spill in the offshore with the National Energy Board and the Environmental Impact Review Board. The plan was expected in the third quarter of this year. The companies plan to keep open their Inuvik, N.W.T. office, collect data on sea ice, and continue to prepare N.W.T. communities for the employment and business opportunities the project may one day bring. 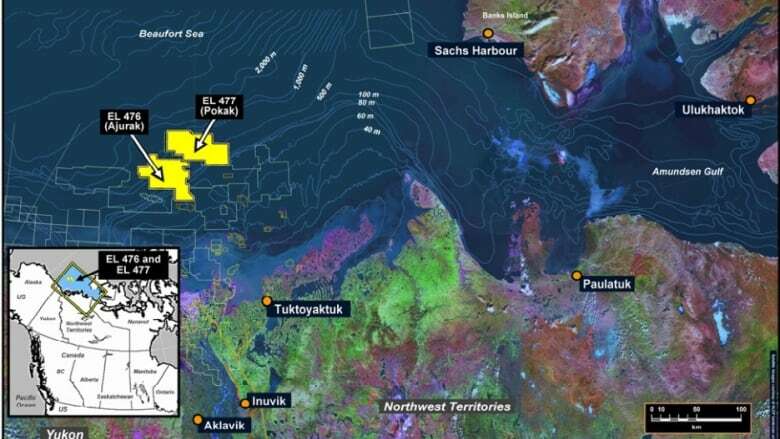 Chevron Canada made a similar announcement last December, putting its plans to drill in the Beaufort Sea on hold and citing "economic uncertainty." Matthews said Imperial Oil and BP's decision may have been partly influenced by a growing concern among energy companies with climate change, calling it a potential indication of a step toward "a post-petroleum world." "We seem to be seeing a more serious approach towards climate change," he said. "This is part of a storyline that is starting to develop."